CG Says: The 2017 Nissan Juke is essentially unchanged, save for standard heated front seats and mirrors on SV models. Most models of Nissan’s genre-bending subcompact crossover SUV make do with an 188-horsepower turbocharged 4-cylinder engine, but the NISMO RS gets an upgraded turbo engine with 215 hp with front-wheel drive or 211 with all-wheel drive. All Jukes have standard keyless starting and rearview camera. A surround-view camera with moving-object detection is available. Aggressive styling, a peppy turbocharged engine, athletic handling, and available all-wheel drive give Juke a sporty and distinct personality. Subcompact shoppers may find Juke too pricey (the SV and NISMO models start in the mid-$20K range), and SUV buyers will likely be turned off by the cramped rear seating and the paucity of cargo space. 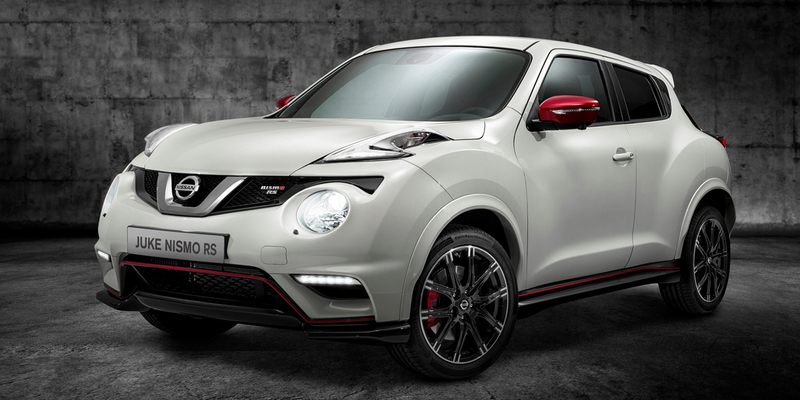 Yet Juke may appeal to those who are looking for a unique sporty/performance car with loads of character.